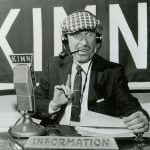 In Denver, the generation that grew up in the 1950s and 1960s had its worldview formed by KIMN, located at 950 on the AM radio dial. 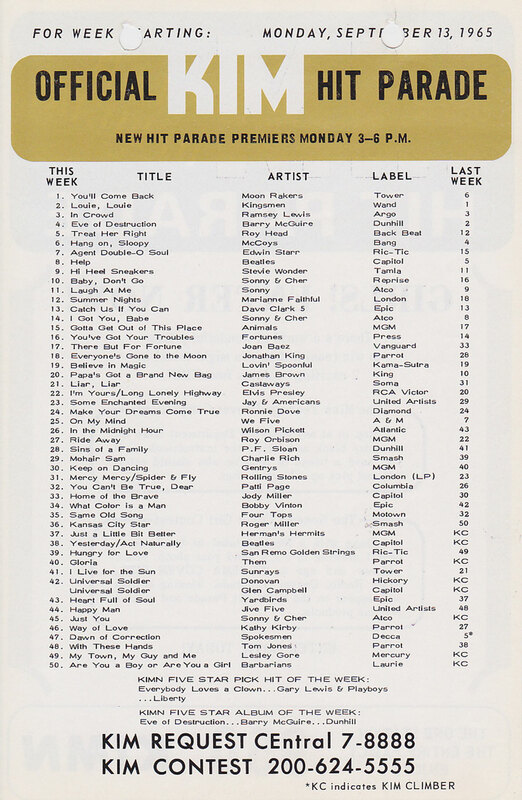 Under the ownership of Ken Palmer, the station became the dominant Top 40 music station in town. Newspapers reported that anywhere a crowd gathered waiting for the Beatles to play Red Rocks on August 26, 1964, all the transistor radios could be heard tuned to KIMN. During this era of more innocent shock radio, KIMN’s popular record spinners were kings. 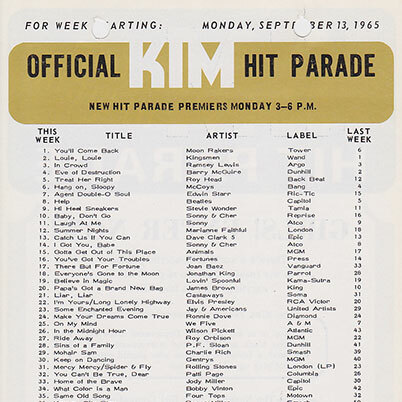 Leading the pack was Pogo Poge, who would do almost anything to get people to listen to KIMN radio. He derived his name from hopping from Denver to Boulder on a pogo stick. He sat atop a flagpole for days and once played the Kingston Trio’s “Tom Dooley” for 18 hours straight. The most famous stunt he masterminded put him in the hospital—he spent nearly two weeks in a snake pit with more than 100 snakes and was bitten by a water moccasin. Jay Mack was notorious for his cast of crazy characters, including Betty Jo with Niles and Farley. Hal “Baby” Moore was consistently voted Denver’s top disc jockey in the Harmony Record Shop poll. 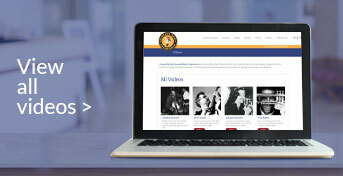 The station highlighted the popular local rock ‘n’ roll bands and sponsored concerts with national stars mixed with local acts, giving them their biggest crowds ever. The news department featured “Sky Spy” Don Martin, who flew above Denver’s rush-hour skies when Interstate 25 extended only from Broadway to the notorious Mousetrap, which he named. Contests included jocks broadcasting live—in bed—from a dream house in Denver’s new Broomfield Heights suburb. The house went to the listener who guessed most closely the number of continuous hours the jocks could broadcast without sleep.